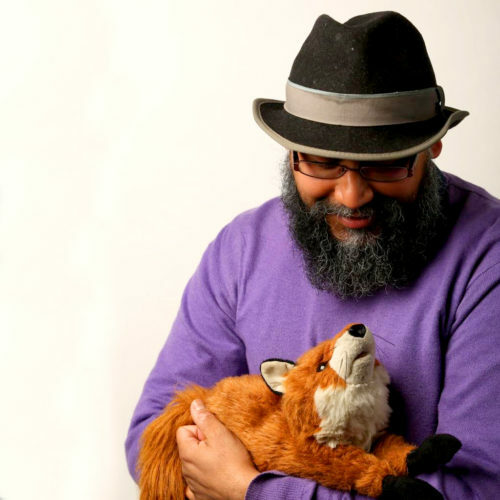 Anzir Boodoo is a Leeds-based performance artist who has used puppetry for 2 years. He has worked with Jane Taylor (Handspring Puppet Company) and Cecil Green Arts, and is interested in exploring the therapeutic value of puppets in Mental Health and chronic pain, and the interactions between puppetry and robotics. The talk will explore the relationship between puppets, humans and robots, predominantly looking at the ways in which all three move and create expression. The talk will pose questions of agency and ascribing agency to puppets and robots, and also the distinctions between puppets, robots and other forms of automata.